Your search has come to a successful conclusion if you have been looking for a Holly Springs, North Carolina AC repair and AC installation resource. You would be hard-pressed to find a local HVAC contractor with more experience and expertise than Bolton Construction and Service. Our company was originally established in 1925, and we have maintained a stellar reputation ever since then. If you would like to see what objective customers have to say about our AC repair and AC installation services, take a moment to check out our reviews. Holly Springs is a beautiful city that has been growing rapidly. At the time of the last census, there were right around 25,000 residents, and 10 years prior to that the figure was approximately 10,000. It is a fine place to live, work, and play, with many recreational facilities, including Sugg Farm Park, Bass Lake Park, and the North Main Athletic Complex, just to name a few. We enjoy the time that we spend in town, and we look forward to making many new friends as time goes on. If you are in Town Center, Holleman’s Crossroads, the North Main Street/Hyannis Drive section, or any other part of Holly Springs, North Carolina a quality AC repair and AC installation resource will always be standing by to assist you. Heating repair work is another area of expertise for our technicians out in the field. We work on all different types of systems, so we can provide heat pump repairs, furnace repairs, and boiler repairs. Of course, sometimes an old, outdated system simply must be replaced. Under these circumstances, we can be engaged to complete a Holly Springs, NC heating installation project for you. We can definitely spring into action to address the situation if you need a water heater repair. Our technicians have experience with all different types of water heaters, so if it can be fixed, we will get the job done. Our company also specializes in water heater sales and water heater installations in Holly Springs, North Carolina. 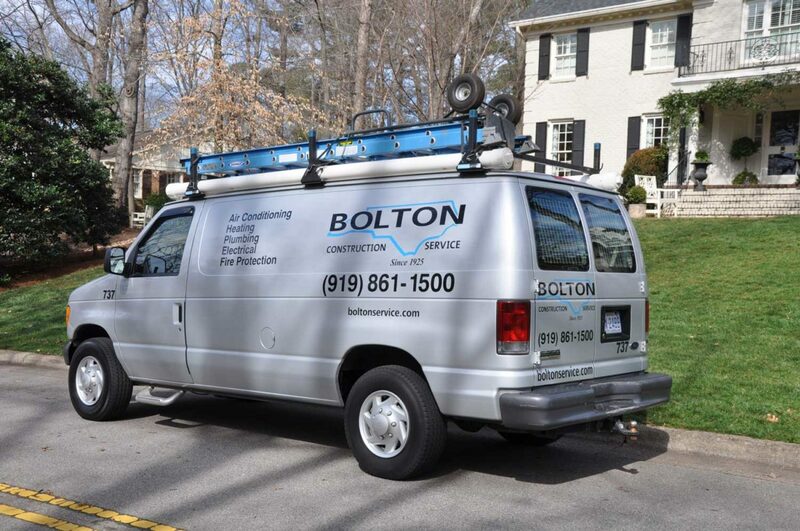 You can always rely on Bolton Construction and Service for heating repair work, heating installations, water heater repair and installation, and AC repair and AC installation in Holly Springs, NC. We can be reached by phone at 919-861-1500, and you can click this link if you would like to send us a message.